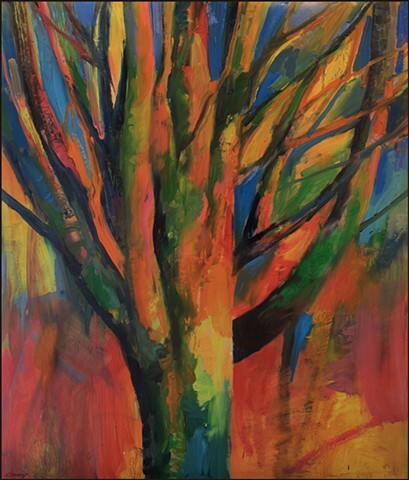 One of a group of freely interpreted tree paintings. I tried to pull out all the stops with this one. Enamel on heavy, gesso-coated paper. Float-mounted on a backing framework and framed in gallery-style natural wood--no glass required. Free shipping in U.S. Click price to purchase through PayPal, or contact dongraystudio@yahoo.com for alternate payment arrangements. Terms available.